Even as the game industry moves towards digital downloads, game packaging is still relevant, especially for collector's editions like Modern Warfare 2. Justin Carroll is a partner and the creative director of Hamagami/Carroll, a company which designs the packaging for many of the boxes you see on game store shelves. Carroll admits that the industry might be moving away from snagging customers with physical displays like elaborate boxes but affirms that packaging still contributes to a consumer's overall experience. "For a number of reasons, the balance of power in marketing communications is shifting away from the package," Carroll said. "The package is one of the important touch points in connecting with consumers -- there's still that wow factor when a new shooter product hits the shelf, or an awww factor for something cute like the Littlest Pet Shop games." He went on, "We always compare game packaging to a billboard -- you have about three seconds to grab someone's attention and deliver a message -- but in this case it's a walk-by rather than a drive-by." Caroll's company recently designed the Modern Warfare 2 collector's edition, complete with the night vision goggles. "With the killer AAA titles it will always make sense. Look at Infinity Ward's "unboxing" video for Call of Duty Modern Warfare 2: Prestige Edition on YouTube, we did the packaging. Over three million views to date. Obviously someone thinks that over-the-top package offers something valuable." Check out our own unboxing post from Jordan Deam for a look at the package that Carroll created. What were some of the packages that stood out for Carroll? The ones that had some artistic inspiration as opposed to marketing-based thinking. "I've always loved the Mario Kart Wii package, which we didn't do," he said. "That pack front hits on so many levels, but I doubt that the designers went down a checklist when they were in the process of designing it." What was the worst experience he had making a game box? "It can be painful. 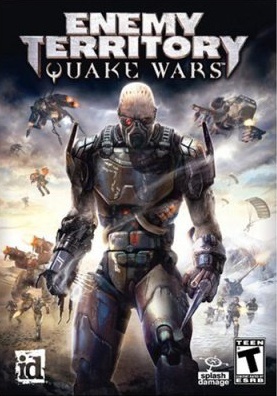 I think we worked on Enemy Territory: Quake Wars for almost two years, and we must have done 300 concepts." To put that in perspective, that's more time than some complete games take to make. And given the final product, I'm not sure that was 2 years well spent.